I have spoken before about my paternal ancestral food, the Havyaka Brahmin Cuisine. The food is simple, easily digestible, nutritious, delicious and made from locally grown herbs and vegetables. 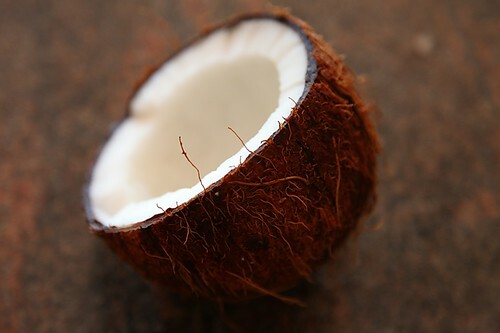 Coconut and coconut oil are used in abundance, like in most South Indian cuisines. One rarely buys coconuts in the villages as coconut trees usually grown in the backyard of homes take care of the coconut needs. Rice is a staple, usually mixed and eaten with Huli (a lentil dish). The place in which my parents live have these outlets that sell yogurt set in mud pots. Yogurt made this way has such an amazing earthy taste and unique flavour. Making yogurt is a daily ritual for us and yogurt made in my mother’s home is simply delicious! But we like to indulge in the yogurt sold in these cute little mud pots once in a way and I called for some to make “Sasive” too. Sasive (derived from the Kannada word sasive for mustard seeds) is usually eaten for lunch or dinner as an accompaniment. The method of preparation remains the same and you could use practically any vegetable instead of Beetroot. The Beetroot imparts a beautiful pink hue to this dish. Naturally sweet, when appropriately spiced, Beetroots are great on the tastebuds. The flavour imparted by the ground mustard seeds to the entire dish is heady and quite addictive. Try it and you will know what I mean. If you are planning a dal and rice or sambar and rice lunch or dinner, then "Sasive" with all its yogurt and vegetable goodness can be a super side to make a wholesome and tasty meal. You can use any vegetable here and I really mean any vegetable instead of beetroot. In a saucepan, put the beetroot and the water, cover and cook till done, about 7 to 8 minutes. Allow to cool. 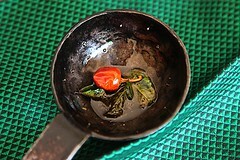 In a small wok, heat 1 tsp oil and fry the chilli until white spots appear. Grind the coconut, mustard, turmeric and green chilli to a fine paste, using 2 to 3 tbsp of water. 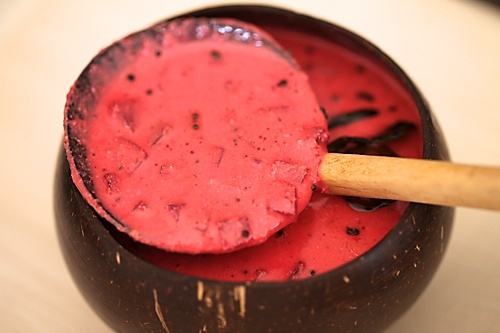 In a bowl, mix in the cooked beetroot, yogurt, salt and ground paste. In a small wok, heat the oil for seasoning. Put in the mustard seeds, when they pop, add in red chilli, the curry leaves and asafetida. Pour the hot seasoning over the prepared beetroot and mix well. Serve with hot rice and a dal or sambar. Absolutely love this post- the pics, the dish, the container ( 😛 ) ! You paired the green 'khana' very well in the pics. We have a very similar preparation called 'Sassam' which not surprisingly is the Konkani term for mustard!Generally vegetables like Ash gourd and cucumber are added and Pineapple for a sweet version of the dish.Beetroot makes the sasive look so pretty!! That looks stunning Anu. 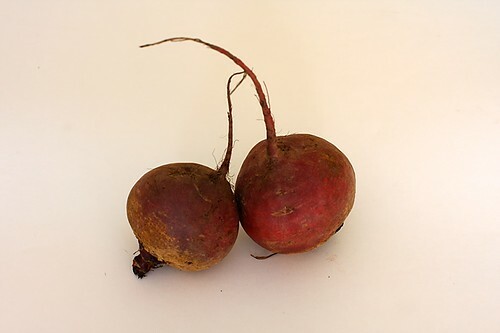 Love beetroot but so rarely used in the UK. Hoping I can try this soon. This is my fav recipe.. looks absolutely perfect and tempting.. awesome clicks dear !! Sharmilee, Divya & Shoba: This just shows the variety and the common thread that binds South Indian cuisine. Maunika: Let me know how you like it. This dish is beautiful. I love mixtures using yogurt and this looks incredible. 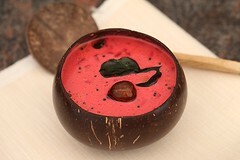 Beautiful photos – even the bowl is gorgeous! Its a hearty colorful sidedish!! I like it!! A beautifully unique dish and very well presented. In Bengal we have the yougurt sold in matkas too. I miss the so earthy flavor of yogurt now. first time here….love it!! 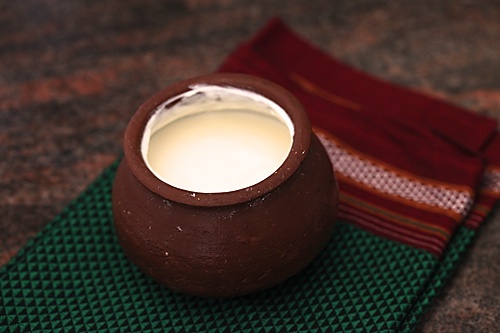 beautifully photographed…love the pot for yogurt!! we are from udupi and we do this same way! !will sure peek often!!! Love your blog. You are a very talented writer and cook. I made this dish today, I love the taste, however my yogurt split while cooking, I kept stirring constantly to avoid that from happening. I thought that the coconut paste would help. Do i need to mix in some besan to avoid from happening again? I will definitely make this again though. Thanks again. Aparna: Thanks for your kind words. Why did you cook this dish? The ground paste is supposed to be mixed with the yogurt and cooked beetroot and the seasoning is to be poured over this. The recipe doesnt mention any cooking. Hope you enjoy it the next time you make it. Haha! this is what happens for not reading the whole recipe. I read heat oil to make the seasoning and ended up assuming the rest is cooked. Sorry my mistake, but let me tell you it tasted awesome, My husband called is beetroot Kadhi. I did add a tsp of besan to the mix and cooked it further, the taste was indeed divine. Now I am making it your way.Thank you for being so quick with your reply. Again love your Blog. keep writing I look forward to it every morning. Aparna: Your version of this dish, Beetroot Kadhi sounds interesting. 🙂 But, you will love the original version. Like I said above, the ground mustard seeds can be quite addictive, especially in its raw form. Words from people like you inspire and encourage me to keep writing. Thank you for your comment. Never thought this kind of food could be made with beetroot.Will try Thanks. Thak you, U mentioned about Havyakas along with a good recipe. In northern India beetroot is just a salad ingredient,I wonder why this so much ignored here. 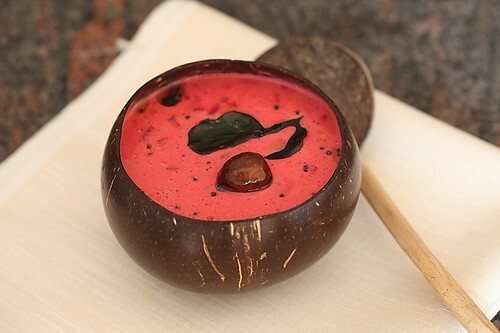 This is the first beetroot recipe for me.I always wanted to include this colorful root in our diet.hope my kids will accept it who don't like it in salads.Is there more recipes with beetroot?Thanks for sharing the recipe.I must say you have a beautiful blog.waiting for more recipes. anuradha: Yes there are so many things you can do with beetroots. Glad your kids enjoyed this recipe. Love to see beets utilized, just posted roasted beet and walnut salad. This recipe looks fantastic, can't wait to try it. we prepare the same dish by pressure cooking the whole beetroot ,scrape it,grind coconut with one spoon mustard ,mix it with a little salt ,curd and season it. Anushruti, thank you so much for the quick clarification and the wofurendl recipe. It came out really well. As a matter of fact, most of the dishes from my Valentine's day dinner were from your site jeera rice, paneer makhani and chocolate ganache cake. My husband loved everything and I can't begin to describe how happy you've made me .I had tried of other recipes from your site with some changes to substitute for ingredients I did not have but they did not turn out so well. So this time, I kept my creative ideas aside, got all the ingredients you mentioned and followed instructions to the T (even brought a new digital scale and measured to the last gram). Needless to say, every single thing was delicious. So the moral of the story for me is to leave the recipe creation to experts like you and just do as I am told . Thank u very much and I hope you had a lovely valentines day too.